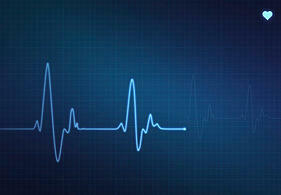 We specialize in cardiology and cardiovascular billing. Our cardiology staff is dedicated 100% to billing and coding for cardiology. We know cardiology, both invasive and non-invasive. And our staff is updated regularly on the latest in procedural and technological advances, coding changes, updated industry guidelines, and documentation changes. Our coding staff consists not only of Certified Professional Coders (CPC’s) but also Certified Cardiology Coders (CCC’s) and Certified General Surgery Coders (CGSC’s). Our coders have been specifically trained and certified in cardiology and surgery by the American Association of Professional Coders (AAPC). They read, code, and bill directly from operative reports that include interventional, electrophysiology and peripheral vascular procedures. You save the patient and we will code it, just dictate and go. We are highly educated and experienced. We will collect all allowable monies due you. 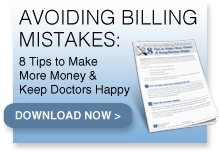 Cardiology billing and coding is a highly complex area that requires education, experience, and technology to collect all allowable reimbursements quickly, accurately, and at a low cost. 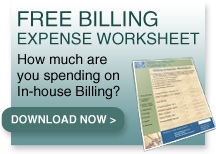 We have programs and work flows in place designed to accelerate cash flow. With Medicare trying to reduce cardiologists’ fees, now is not the time to leave uncollected fees on the table, typically 10% to 20% with in-house billing or non-cardiology billing services. There are two very basic components to running a practice: Treat the patient and collect the payment. If either of these falters, your practice falters. We can improve your collections substantially. Our education, experience, technology, and work flows are designed to collect all allowable fees as quickly as possible.